I have had the privilege of knowing Marco Cianfanelli since he was a Fine Arts and Art History student at Wits many years back and have followed his career with great interest. 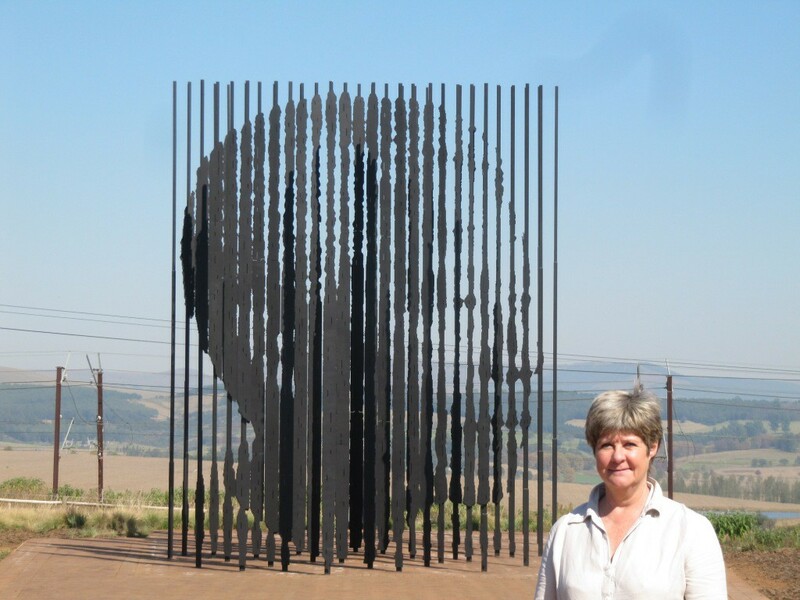 I was of course well aware of his monumental sculpture of Mandela constructed at the site of Mandela’s capture near Howick on that fateful August day in 1962.However, it was nowhere in my consciousness when I drove through the Midlands on the way to the South Coast recently. 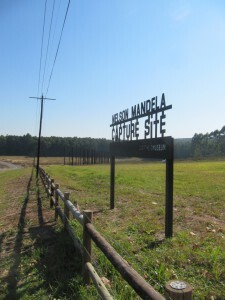 Taking the R103 exit off the N3 at Lions River to make my way in the dusk to my night’s stop-over, I was bowled over to suddenly come across the sign saying Mandela Capture site. Too dark and late to visit, I ensured that the next day I made my way back. What an amazing piece of public art. At nearly 10 meters tall, the large scale ensures that it can be seen from afar. Carefully orchestrated, the axis of approach takes the visitor down a long bricked and landscaped path with the sculpture at the focal point silhouetted against the backdrop of the rolling hills of the Midlands landscape. From a distance the 50 steel tubes look like a modernist non-figurative sculpture but of course as one approaches there is mounting anticipation of seeing the iconic head emerging from these seemingly abstract forms. In the distance the tiny figures of fellow visitors near the sculpture reinforced its monumental scale. And at a distance of 35 meters from the sculpture (marked by an inlay in the bricks and a plaque) the full iconic profile comes into focus. 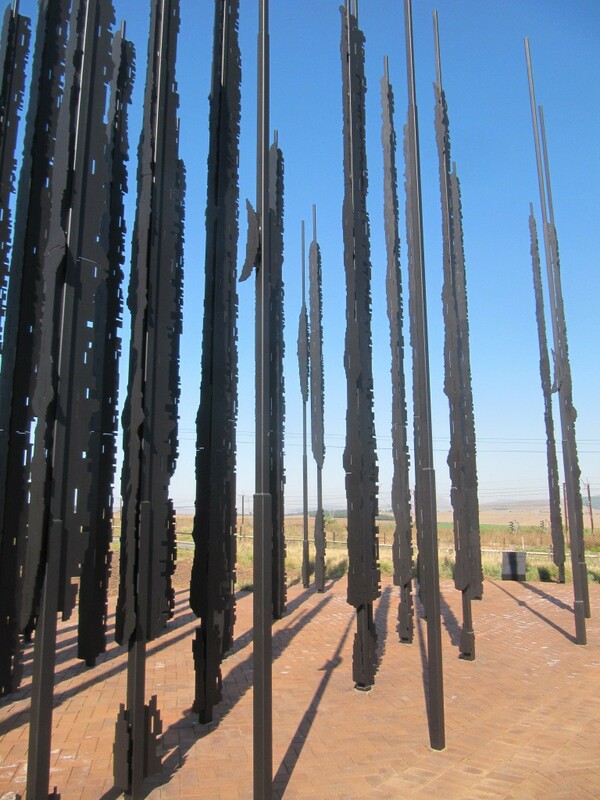 As one moves closer the image dissolves again – ephemeral and transient – until standing beside the sculpture one is dwarfed by high vertical tubes which return to making an abstract statement. Cianfanelli comments on this structural paradox: ‘From its main focal point, the sculpture reads as a familiar photographic image, structurally suggestive of his incarceration, while from a side view, the design and arrangement of the columns create a sense or moment of fracture and release.’ I made my way back up the path to the museum which has the Mandela exhibition from the Apartheid Museum on show. It provides an excellent overview of Mandela’s life covering all his different identities and roles. 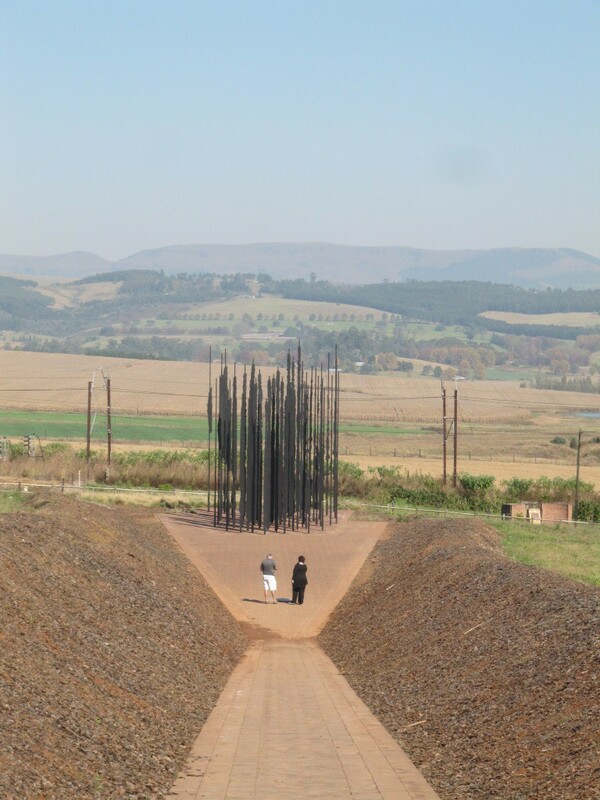 Although I was delighted a week later to go to Nirox and see the maquette for this sculpture on display at After the Rainbow Nation, for obvious reasons much is lost in the maquette: the impact of scale; the relationship to the setting and landscape; the powerful connotations of the location and site; and on a purely visual level – the shift from two – dimensional verticals to a three -dimensional face, is much less clear in the small scale maquette. 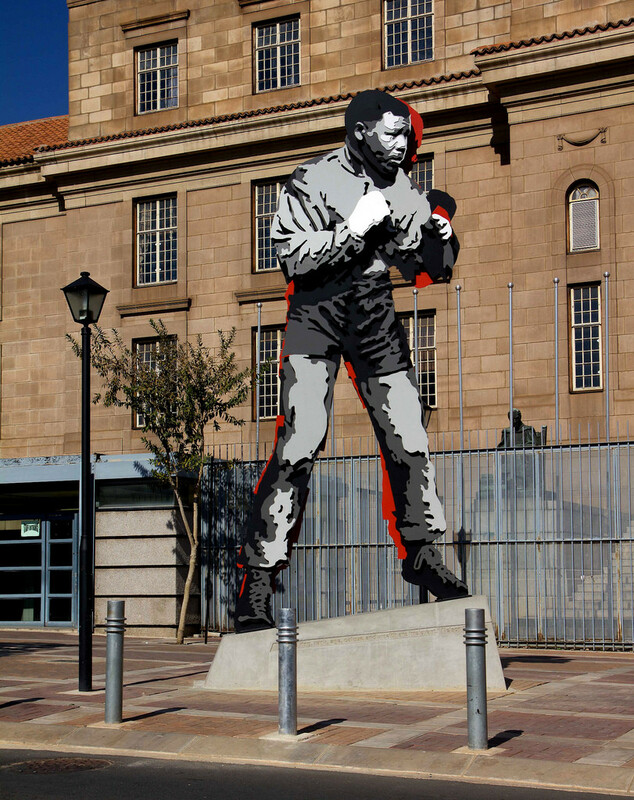 And now we have a further aspect of Madiba’s life memorialized by Cianfanelli in his sculpture outside the Magistrates’ Court in downtown Joburg.